To claim this profile, please confirm you are Willa Cahir. To follow this profile, please let us know your relationship to Willa Cahir. Girls varsity lacrosse vs. Highland. Willa's lacrosse stats have been updated for the loss @ Saint John Paul the Great Catholic. Willa's lacrosse stats have been updated for the win @ Trinity Christian. Willa's lacrosse stats have been updated for the win @ Fredericksburg Academy. Willa's lacrosse stats have been updated for the win vs. Saint John Paul the Great Catholic. Willa's lacrosse stats have been updated for the win vs. John Champe. Willa's lacrosse stats have been updated for the win vs. Fredericksburg Academy. 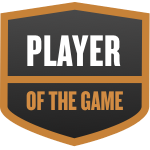 Willa was selected the Player of the Game in the field hockey game against Fredericksburg Academy on Fri, Nov 09 2018. Willa's first goal of the year helped cement the victory. Willa's field hockey stats have been updated for the win vs. Fredericksburg Academy. RESULTWin Varsity field hockey vs. VES. The Foxcroft varsity field hockey team won Tuesday's home playoff game against Virginia Episcopal School (Lynchburg, VA) by a score of 5-1.